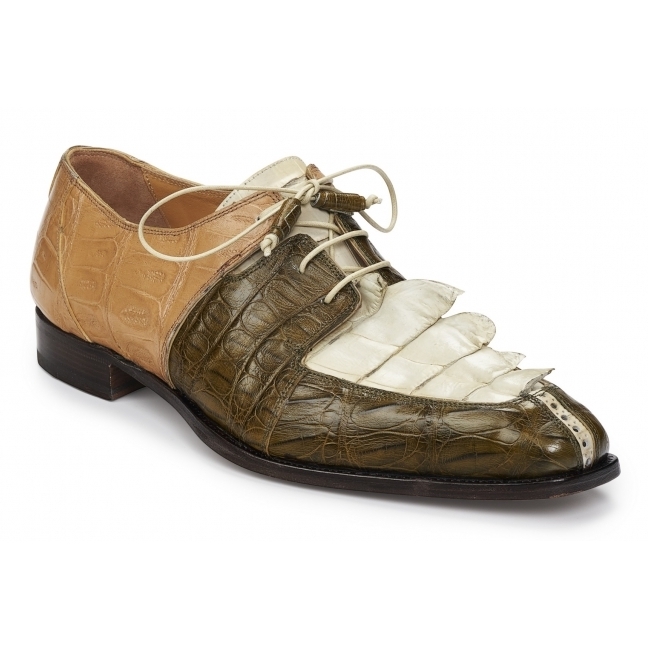 A cherished combination of baby crocodile and hornback tail leather in this tri tone lace up dress shoes that will turn heads. Leather lining and leather sole. Made in Italy.